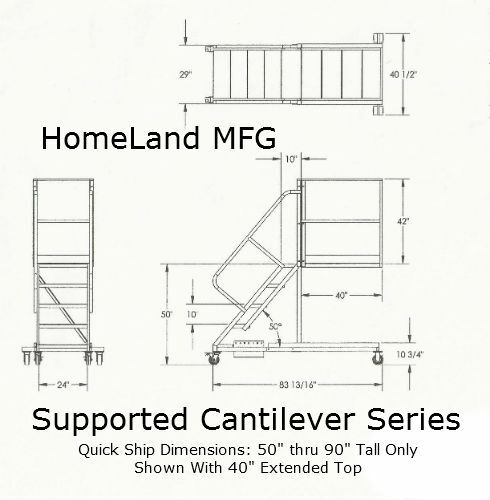 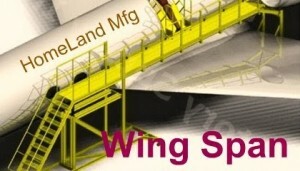 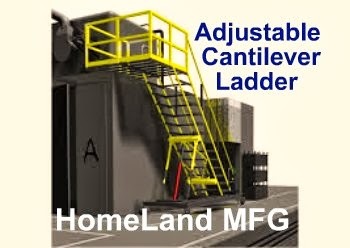 Homeland Manufacturing, Inc > Cantilever Platform, Cantilever Platform REVIEW. 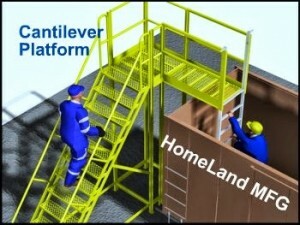 Cantilever Platform, Cantilever Platform REVIEW. 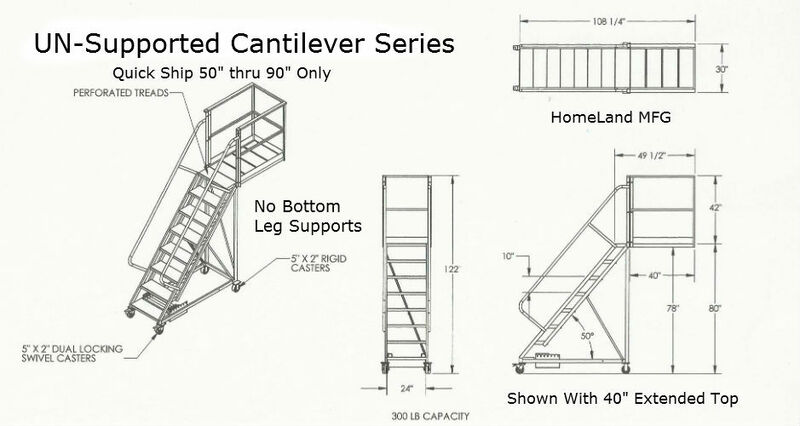 Cantilever Platform Buyers Guide is Helpful to Determine The CORRECT Cantilever Platform for your Warehouse. 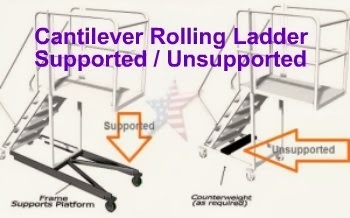 Select a 'Supported' Cantilever, 'Un-Supported' Frame Cantilever or 'Adjustable' Height Cantilever. 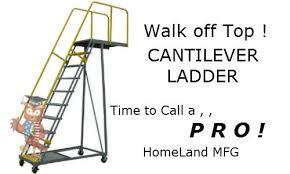 Any Questions?,,, Ask A PRO! 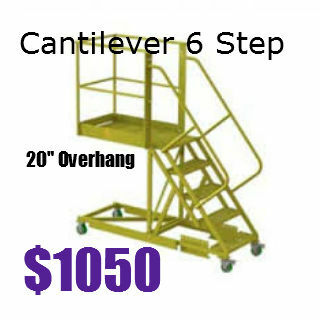 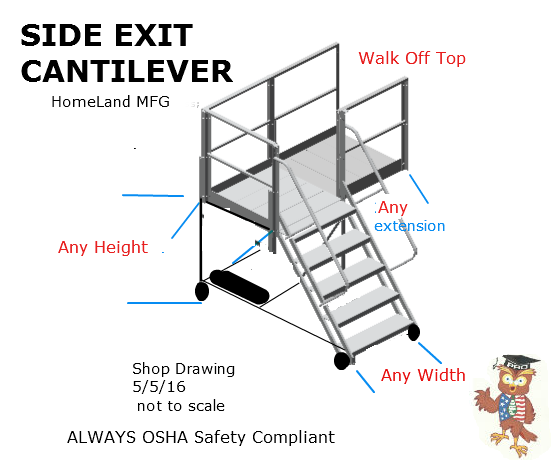 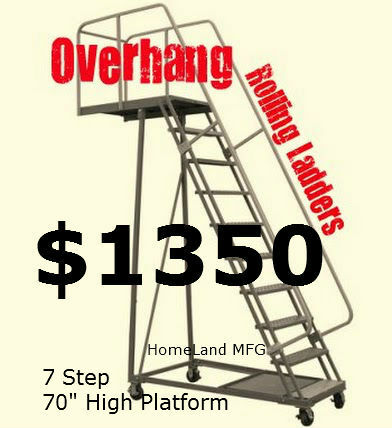 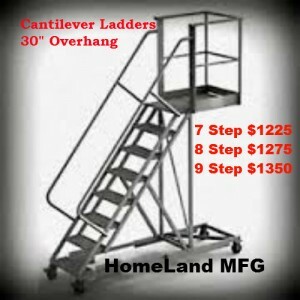 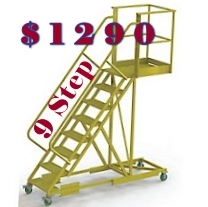 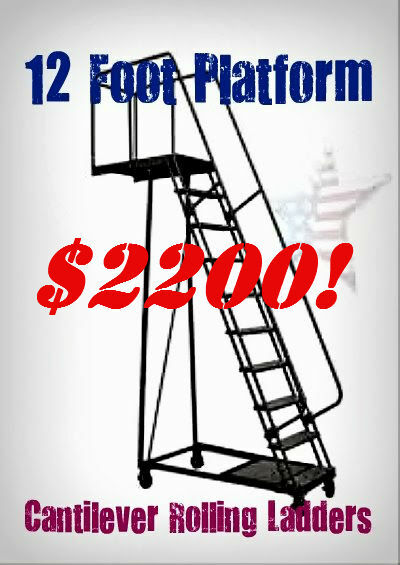 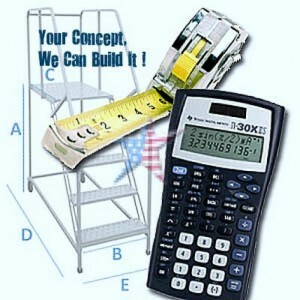 CANTILEVER PLATFORM (overhang platform, counter balance ladder) Buyers Guide. 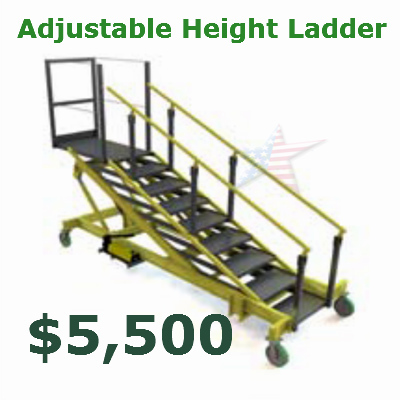 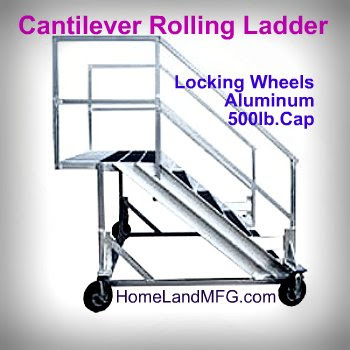 This Rolling Cantilever Platform is often used to access storage shelving, inspect cargo, or as a rolling maintenance platform. 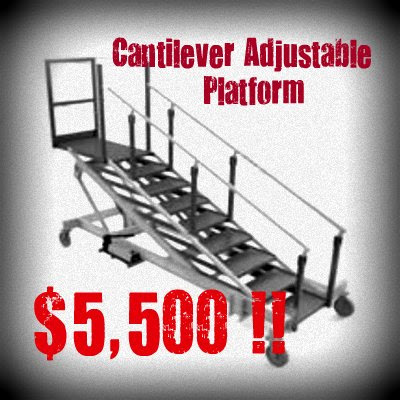 Our Commercial Cantilever Platform has a cantilevered unsupported portion of the platform that is perfect for clearing hard to reach areas. 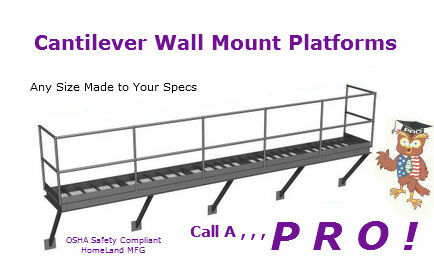 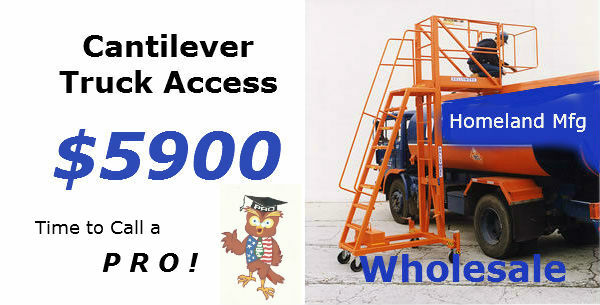 We can install walk off safety chains, make a larger extended reach top platform. 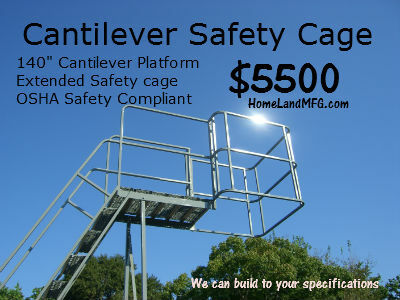 We can galvanize it or make a beefier capacity. 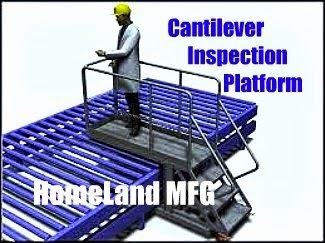 See our VIDEO on a Cantilever Platform.